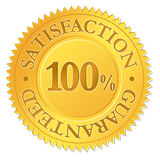 Done Right Carpet & Restoration Inc. has been in the cleaning and disaster recovery industry since 1992. We continue to grow by constantly keeping ourselves updated in the latest equipment and technology in cleaning methods. In today’s air-tight homes and commercial buildings, indoor air quality is a growing concern. Most household dust contains mites, mold, mildew, pollen and animal dander which can aggravate the symptoms of asthma and allergies. Our professionals have combined their proven techniques with the video-assisted Rotobrush aiR+® air duct cleaning system.You are left with the assurance of fresh, clean and virtually contaminant-free air in your home and office. Done Right has been servicing the capitol and its surrounding areas for disasters since 1992. We pride ourselves on our personal commitment to each and every client. We are professionals with cutting edge training who are Institute of Inspection, Cleaning and Restoration Certified (IICRC).